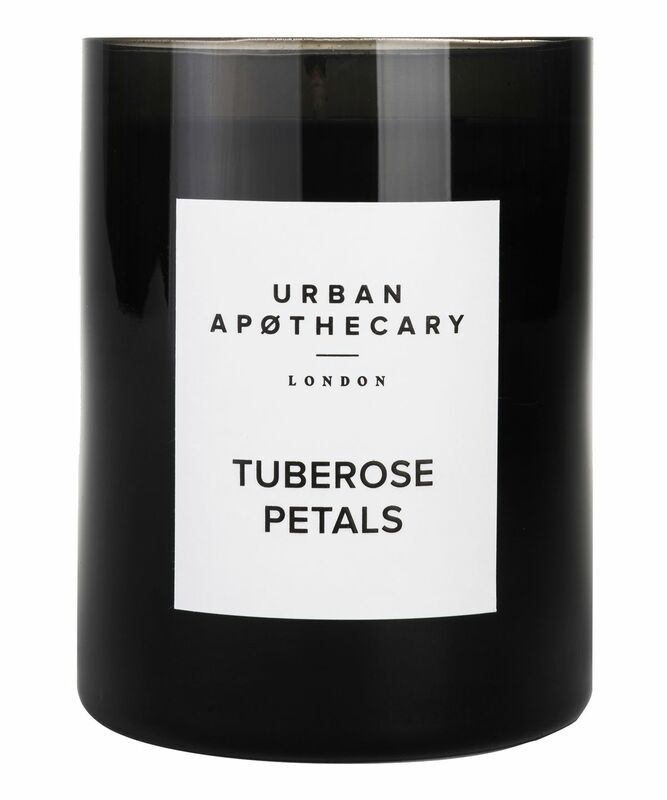 Opulent and botanical, this candle encapsulates the exquisite scent of tuberose – a mysterious plant that releases its heady, buttery notes at night. Adding to the dusky aroma, fresh notes of green leaves and bergamot and a sensual honeysuckle heart sit on sumptuously spicy sandalwood and coconut base. 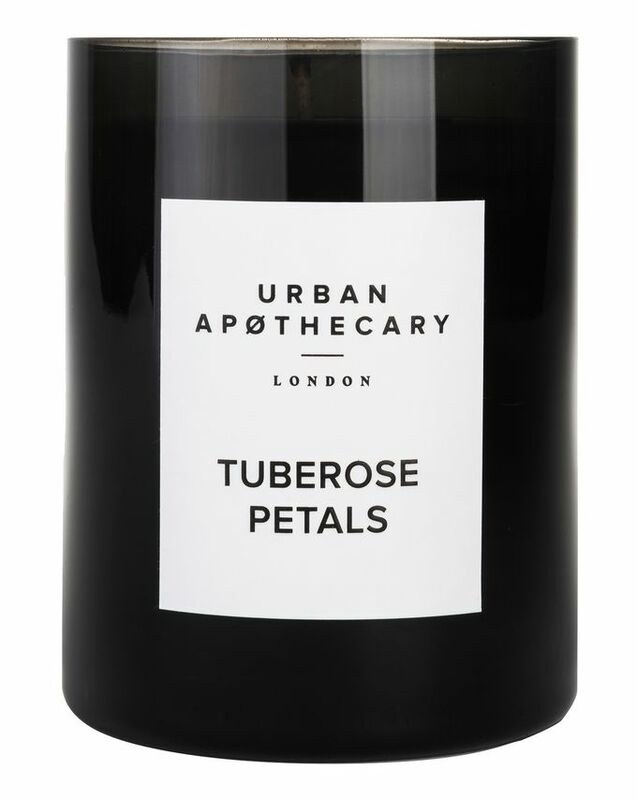 Opulent and botanical, Urban Apothecary’s Tuberose Petals Luxury Candle encapsulates the mysterious scent of tuberose, extracted from heady petals that are carefully gathered from blooms that appear just once a year. Irresistibly refreshing top notes of green leaves and bergamot combine intriguingly with a heart of botanical tuberose and subtly sweet honeysuckle. Adding a sumptuously spicy depth, carnation, sandalwood and coconut unite to create a beautifully balanced, lingering base. Luxurious in sight as well as scent, this soy wax and cotton wick candle is hand poured in England by skilled artisans and housed in mouth blown glass, infusing interiors with sublime scent for up to 60 hours.